Wrestling is a great sport to help develop children at an early age. 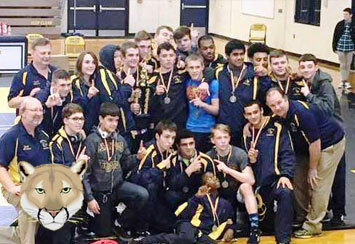 At Dearborn Heights Wrestling we have wrestling teams for every age group. Please fill out the form below to register you child for a wrestling team today! We have wrestling teams for every age group, from elementary to high school we have a team for your child! Our mission is to grow the wrestling community in Dearborn Heights as well as to develop student athletes with skills and a work ethic. Our purpose is to give boys and girls the opportunity to grow as young persons and excel in the sport of wrestling. Wildcats Wrestling is dedicated to one main focus: to teach your child to be successful on the mat and in life. Congrats to all of the MyWay placers this weekend! Also, congrats to those not placing, but still going out and giving your all!! !